Humbled to be chosen, what a tremendous honor! I’d like to save this 60 acre farm from being developed into another strip mall complex. It has belonged to my fiancée Stephanie’s family for over a century. – located near Robinson Town Centre, about 5 miles outside of Pittsburgh. Any ideas? Let me know what you think. I listened to the audio version of this book that I downloaded from audible.com. 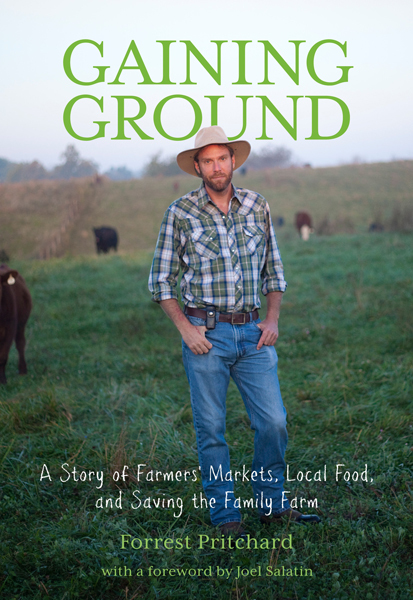 From a non farmer, suburban dweller perspective, I found the book fantastic, truly enjoyable. It is entertaining and informative in a very fun way, It is also inspirational; I love stories of people dedicating their life to a dream that benefits mankind and succeeding.